Good morning. Today, I would like to share about my job as a Business Development & PRM in IT industry. PRM stand for Partner Relationship Manager. So one of my job is to maintain relationship with partner or principal. In my case I manage several products like MicroStrategy, IBM, TIBCO, etc... It's quite easy to tell you about the PRM, but how about business development? Business development comprises a number of tasks and processes generally aiming at developing and implementing growth opportunities between multiple organizations. It is a subset of the fields of business, commerce and organizational theory. 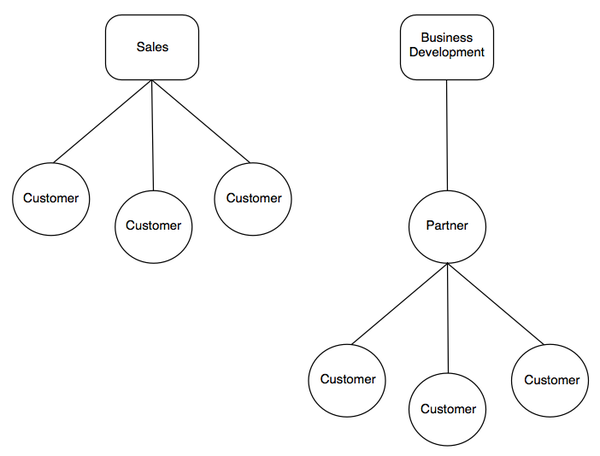 Business development is the creation of long-term value for an organization from customers, markets, and relationships. Business function focused on strategy, creating strategic partnerships and long-term relationships with suppliers and customers. The business development function within a business can be thought of as a jack-of-all-trades position focused on strategic deal-making with an eye toward increasing sales and expanding the company’s long-term business success or scope. So? From the paragraphs above, 1 word across my mind, it is strategy. Strategy how business can survive and grow in the market. Next, what is the difference between sales and business development? I would like to share article by Andrew Dumont. It is very clear and insightful. I agree with Andrew, that based on function, sales is to sell directly to end customer, but BD is to work through partners or through sales it self. In my company "through sales it self" called presales. So I need to support the sales team before the project deal. I conduct some product and competitor research, create a solution and strategy, negotiate the solution with customer and in summary coordinate and bridging the sales and the customer. I have to manage relationship with customer too, so we can identify what they really needs and to build trust.